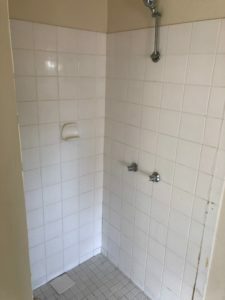 There is no bathroom renovation project too scary for Back2Life Bathrooms. 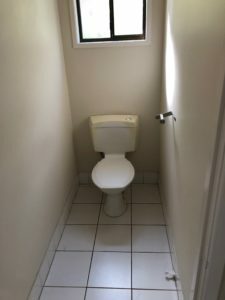 They don’t call as Brisbane’s #1 bathroom renovation experts for no reason! 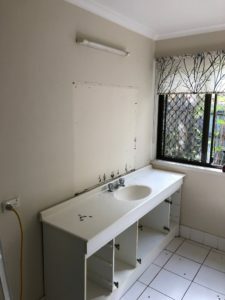 This bathroom renovation in Ferny Hills had definitely seen better days so we have recently started this big job of replacing this outdated bathroom a full bathroom renovation. We’ve ripped out the lot and are remodelling. 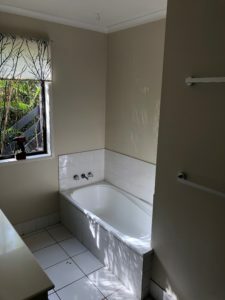 We will create more functionality by replacing the bath with a laundry tub and bench. 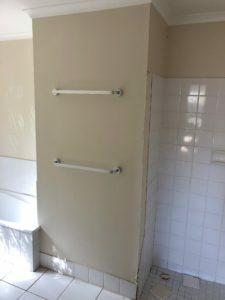 A sleek looking wall hung vanity, walk-in shower and smart tile insert strip drain will go in too. We’ll make sure we take advantage of the natural light though no matter what! Watch this space! We’ll share the after photos as soon as we can.